Awhile back, I accidentally found this ancient iron furnace. I did some research and found a bit about the history of the site and decide it would make a great project. Here’s the very first test piece. This is missing a bunch of parts, but I was anxious to get an idea of how it would fit. I’ve already found several bugs in the design that I’ll address in the next version. But, it is starting to come together. I need to add some glue tabs inside the top area. But, I’m satisfied with the overall fit and texture. This is in approximate HO scale, by the way. That means the base is about two inches square. After three days of part-time fiddling, I have some pictures of the second generation build. It’s still a bit rough in places, but I think I’m on the right path. 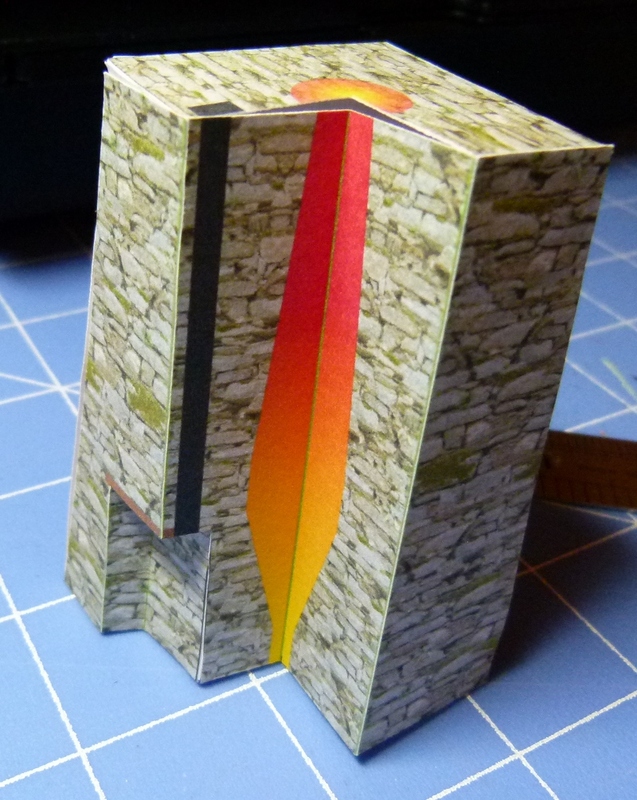 After a few hours of cutting and gluing, this is the 2nd generation iron furnace model. As you can see, the entire project will fit on a plastic CD case. I still have to tighten up some of the corners, add additional tabs and figure out what I’m going to do for the air pipe that runs from the bellows to the bottom of the furnace. I finished a remake of the plans and instructions and a few friends are testing the latest build. Note that it fits well on a CD jewel case. I didn’t bother to paint the base, nor add any details that are not part of the model kit. If anyone is interested in building one for themselves, drop me an email and I’ll let you try the BETA build. The link will take you to a page of my freebie files. 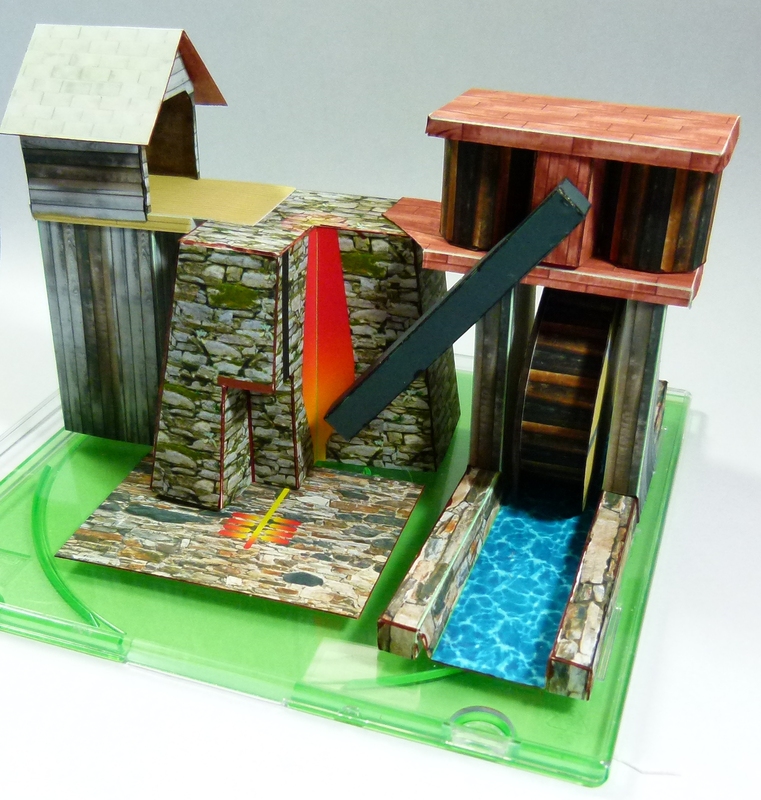 It can be built as a cutaway 3D display for museums and classroom use or for model railroads or dioramas. Any questions or comments, feel free to email me at: e.c.field [at] gmail [dot] com. The PDFs have been fixed! Sorry for all the hassles with the first upload. I just recreated the two image PDFs and the full package ZIP file. All of the patient folk that had troubles with those huge files the first time, should be able to read the new ones with no problem. Thanks for all the patience, feedback and assistance. That’s looking really .. really good. Looking forward to seeing it completed .. and hoping this will draw attention to the Furnace and possibly help it keeping it up. This is very interesting. I notice the original is more tapered than the model. The expansion and contraction of heating probably made a cubic furnace crumble at the top edges but gravity will hold it together in its original form. I notice a second opening on the downhill side that does not appear in the model. Why? Why is it there in the original and why not in the model? Is there evidence for how it was charged and how it was fired? What does the waterwheel machinery do? 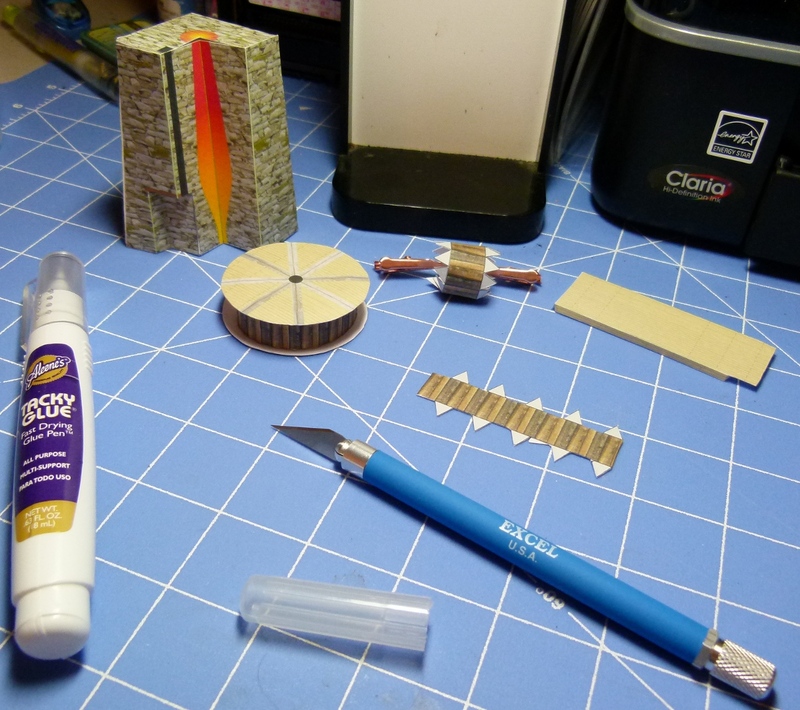 Do you plan a removable piece to fill the cut away corner? I suppose all of this is covered in the directions. What a great idea for instructional models! Thanks for the feedback, Jack. I’ll try to answer your questions in order. The original is more tapered. Now that I’ve seen a finished piece, I’m going to adjust some of the dimensions. There are a lot of these old furnaces and they vary wildly in size. There is a second opening and I’m thinking this furnace was designed to have two casting arches. When it was in peak operation, just prior to the Civil War, it was producing three ton of cast iron per day. Since the model is to be used as a teaching aid, it is simplified to show operation. The waterwheel shaft has a crank on each side that drives pistons in the tubular bellows assemblies mounted above. The bellows force a continuous blast of air into the base of the furnace. Thus, the term blast furnace. I had not thought of a removable piece. That might be a good idea for those that want to use it as a model rather than a teaching aid. I bow down humbly in the pesrcene of such greatness. Thanks for posting the great model. I have seen a couple of these in about the same condition in South East Ohio, but never understood what they originally looked like or how they worked until I saw your web page. Thanks again, I look forward to building it. I had never seen the attached buildings on the furnace. I used to live near there one in Etowah, GA and it is nice to see what “support” structures were needed. Thank Dr. Stanley Dickenson. His article on Shannondale.org that was posted by their webmaster Willis Nowell is what prompted me to create this model. The model looks great but I’m having problems with both the split download and the zip file. Page one in both is unreadable. I’ve gotten the same report from one other person. The say it’s an “error 109”. Let me know if any of these work for you. Also have your friend try it on his machine. So far no luck I’m running Win7 and using Acrobat 7.1.0 Pro and reader 10 both have been updated and I still have the problem. I also tried it on my wife’s computer, she’s running Win7 and Acrobat 9 pro. I have a copy of Acrobat 8 I’m going to try later. I think the furnace may have been a cupola furnace rather than a blast furnace. In a cupola furnace the charge is pig iron, coke and lime – the shaft is loaded with the charge and the charge is fired and blown with air feed into the furnace through tuyeres. The burning of the coke provides the heat, the pig iron melts and trickles down the shaft. The air blown up the shaft burns most of the impurities (sulphur, phosphorus) out of the molten iron droplets. The iron collects in the bottom of the furnace and is tapped off once the charge is consumed. The hole part way up the shaft was used to run off slag (molten lime + impurities). The only product possible with a cupola furnace was cast iron (2 – 4% Carbon). These furnaces used to be very common in casting shops but they produce a lot of smoke and fine dust so they aren’t environmentally acceptable. The ability to make only a single product means they a pretty limited compared to an arc furnace. You’re right it is a blast furnace – although a fairly primitive one put together from local stone. Even back in the 1860s blast furnaces had blast preheaters – the heat from the stack gases were used to heat the blast air – this reduced the amount of coke required. I’m looking forward to trying it. Download did not work with Firefox. I had to switch to Internet Explorer to download the file. There is a working furnace at Hopewell Park near Reading, PA. It was originally charged with local iron ore, charcoal and limestone. Charcoal for the furnace is made on-site, but for demos they just melt and cast aluminum pigs. The waterwheel driven bellows deliver forced air via the tyures [sp?] to the bottom of the furnace. This is a really interesting site to visit. Cast cannon in RevWar days. Google for more info. Like your model. I’ve tried downloading page one of your blast furnace, but it seems to be having issues or something! Both the zip file, and the individual file, will not open! Have you had other comments on this, or is it just me? I’d like to try and build this item of yours, so having page one would be great!! I believe the download problems have been fixed. Sorry for the hassles with the first group of files. 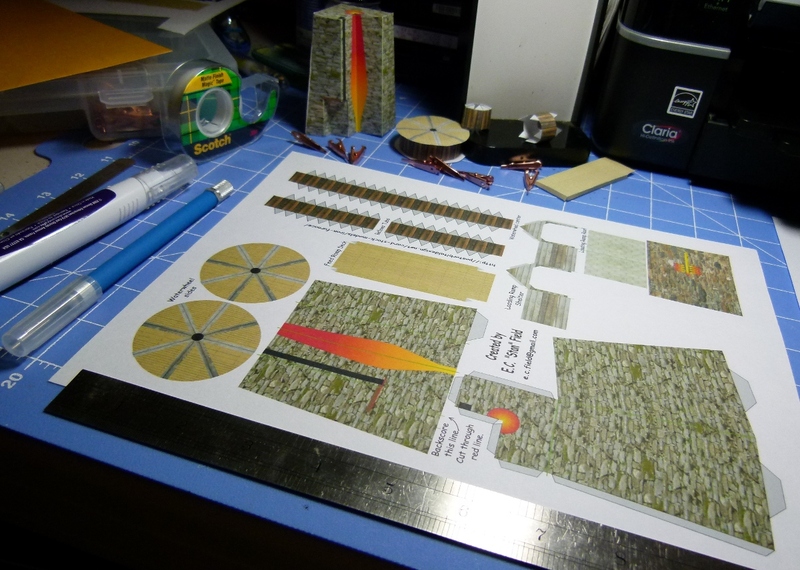 The stone textures are actually from the photos I took of the real Shannondale Iron furnace ruins. The wood texture mapping is from a nearby house that dates to the same era. Thanks for shrinking the file sizes. There used to be (still is??) a water powered foundry and machine shop in the California Sierra Foothills that was still in part time operation until at least the 1970s. I don’t know what happened to it. A non profit was trying to preserve it, and give it to the state, but with California’s budget in the dumpster the site is probably decaying away. As I posted above there are several similar furnaces in SE Ohio in various states of preservation. There is one near Jackson, Ohio that is part of a park and it is well preserved with some of the buildings around furnace still standing. It is later, mid 19th c.
There are old beehive brick and coke furnaces around Nelsonville, Ohio. 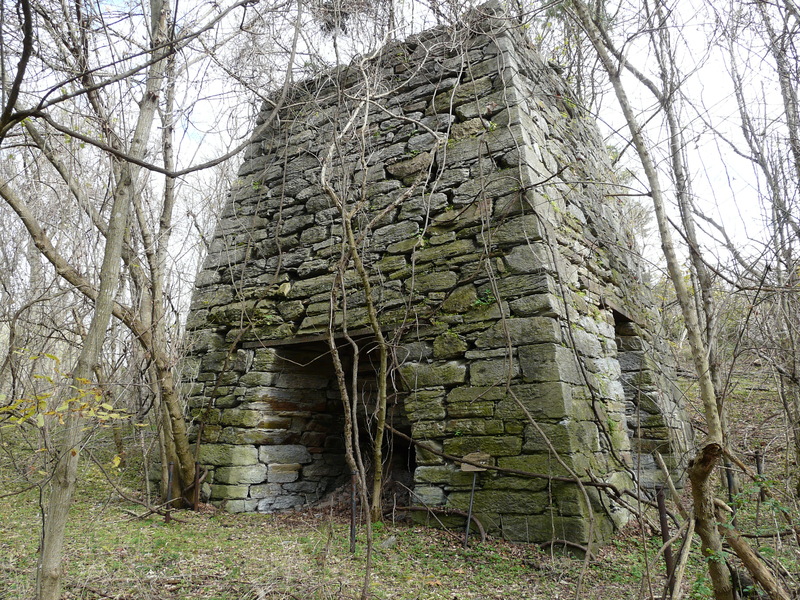 I was researching the Deep River coal mines in North Carolina this morning and ran across this Civil War era smelting furnace. 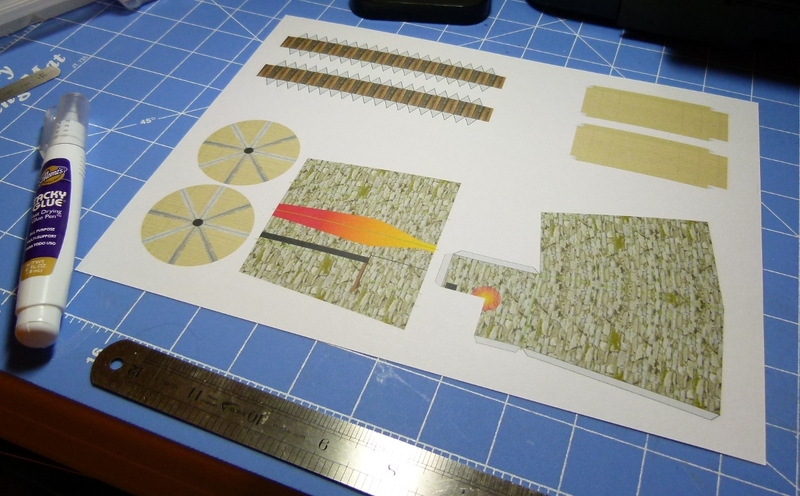 The Endor Iron Works. If you look down the page on the link toward the bottom. Interesting huh? There is a somewhat similar one at the source of the Merrimack River in St. James MO. 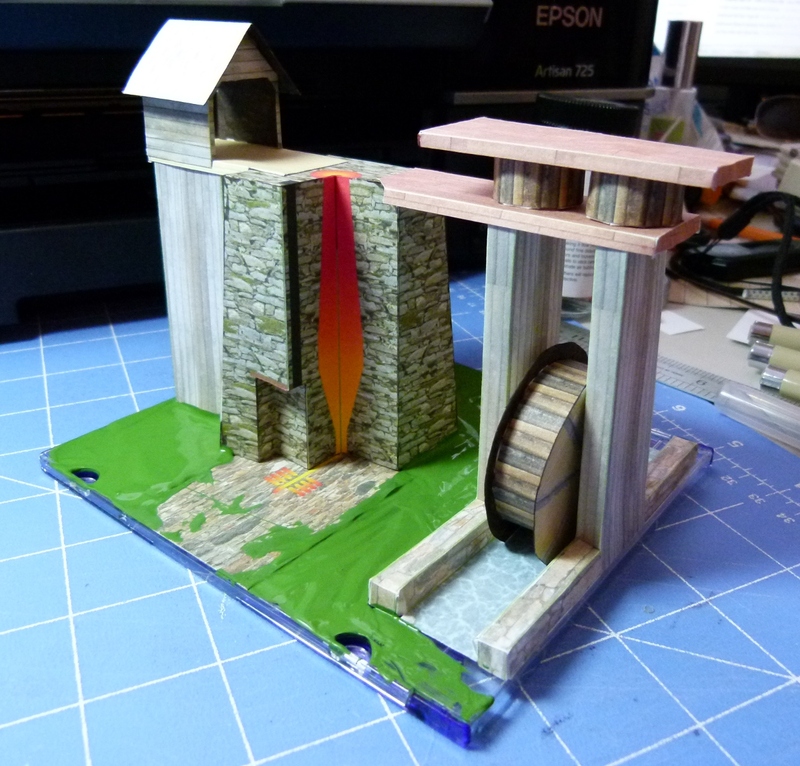 Their water wheels also powered a series of drop forges. This furnace was loaded from the top of the hill by dumping entire wagon loads of wood and ore into the top of the furnace. I believe they have a model of the original setup at the museum. I have been working on a new website since the old Mentilucent site no longer exists and forgot to provide the new links. The model looks great but I’ve not been able to download it, none of the links work, is there another link or would you possibly be able to email it? I am looking at a piece of property near one of the old furnace locations to purchase. Does any of the materials involved in this process damage the groundwater or environment of the surrounding areas, and if so, how many years before the contaminants cease to affect the environment? Thanks so much! To the best of my knowledge, the only thing you will find are small quantities of glass-like slag that was impurities from the smelting process. The mining of the ore and creation of the charcoal was a pretty dirty business, but the actual iron production wasn’t that bad. I would consider two criteria. The first is the fact that none of the old stone iron furnaces have functioned in the last hundred years. And secondly, if you take a walk around the ruins, you will see a lot of wild growth. I’ve seen several of these furnaces in deep wooded areas and they are all being reclaimed by nature with vines, trees, and animal burrows. There is a big difference between the old stone furnaces and the modern blast furnaces, which have been associated with a lot of toxic wastes. Thank you very much for the question, Glenda. I had to think about it for a bit. I just remembered I had some pictures to illustrate the point about time and nature’s ability to clean things. Here are two shots of a furnace in Hardy County, WV. This furnace is less than 50′ from the road and is all but invisible. The first shot is of the downhill side. This next shot is a panoramic view I posted as a simple test of observation. My apologies, Kay. I will fix this as soon as possible. Thank you for letting me know. Thanks for your efforts. A real interesting model. I’ll enjoy putting together the iron mill. What other paper models have u done? I’m currently updating Terry’s Tavern and hope offer it in the near future. Glad you’re enjoying the old iron furnace.